Looking for a new way to send a dozen Roses? How about a beautiful swirl accented by Curly Willow and set in a square, black ceramic vase. 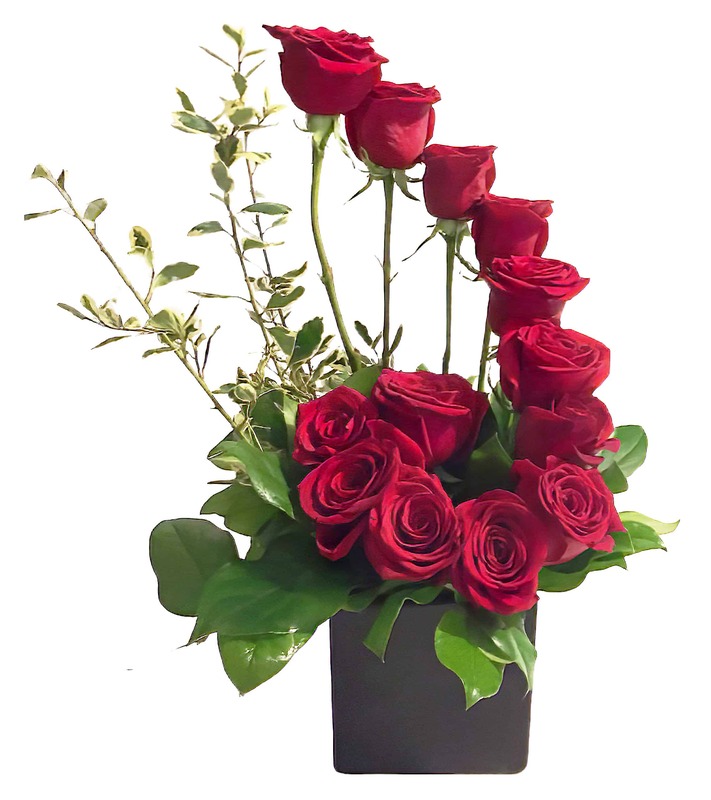 This a a sure way to WOW the one you love with a unique and gorgeous display of Roses! Be the first to send these Roses!